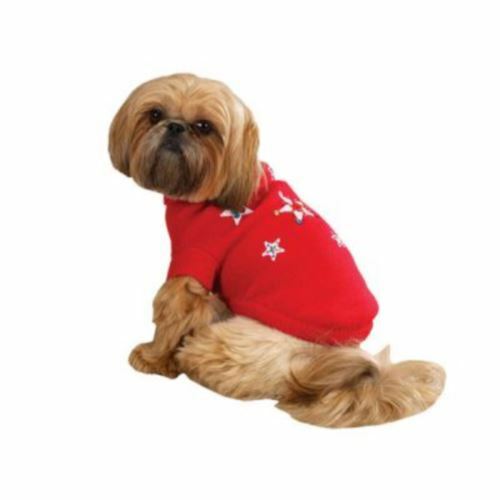 This Blinking Star Dog Sweater by Zack and Zoey is available in XXS Size only. Last in stock so Buy Now! 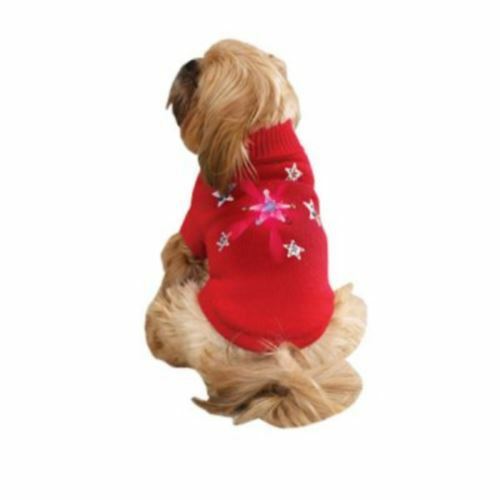 This Blinking Star Dog Sweater is made from comfortable acrylic with sparkling sequined accents. 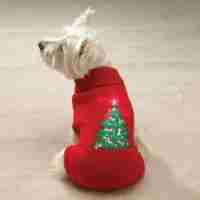 Each dog sweater has a twinkling LED star on the back. Care: Spot clean only. Wipe with a damp cloth. Do not immerse sweater in water. Back: Measure length of pets back from the base of the neck to the base of the tail. See below for estimating by breed. Neck: Measure the circumference of pets neck for a snug fit. No need to add inches as you would with a collar.